April 14 (AZINS) Katrina Kaif gave her fans a great Sunday morning by posting a picture of herself. She shared a photograph of her from the sets of her upcoming movie 'Bharat'. The photo, which appears to be a still from the upcoming trailer of the film, showed Katrina Kaif in a pretty avatar. Sharing the photo, Katrina Kaif also revealed the trailer date of 'Bharat'. 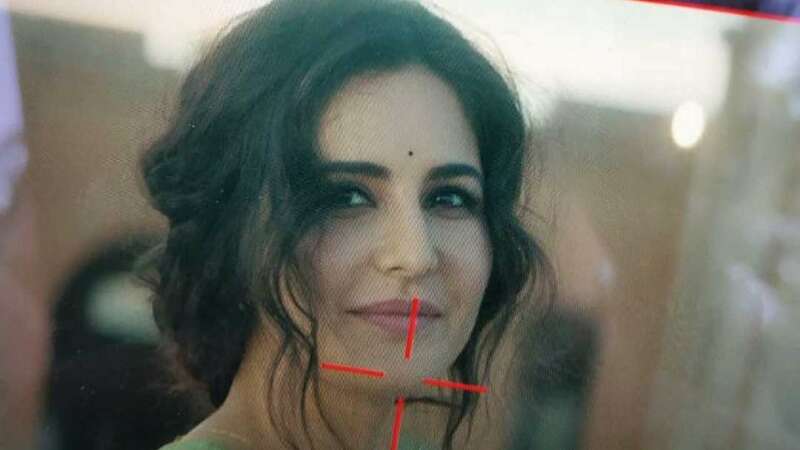 Dressed in a green saree with a simple golden chain, black bindi and minimalistic make-up along with her curly hair, Katrina Kaif looked beyond pretty in what appears to be a still from the film starring Salman Khan in the lead role. Katrina shared the picture on Instagram and captioned it, "#Bharat 10 days to trailer", thus revealing that the much-awaited trailer of the highly-anticipated Eid release is just 10 days away now. In fact, as soon as she shared the release date of the film's trailer, the actress started receiving comments like, "Can't wait" and "Super excited". Meanwhile the film's director Ali Abbas Zafar also confirmed the news with a tweet. He wrote, "Yes the trailer of Bharat is locked, we are into final stages of post-production, it will come out in 3rd week of April. This one is a very special film. Nervous, anxious and excited. May god bless us all." Produced by Salman Khan's brother-in-law Atul Agnihotri and Salman Khan Films, 'Bharat' is an adaptation of the Korean war drama titled 'An Ode To My Father'. The movie also stars Sunil Grover, Tabu, Disha Patani, Jackie Shroff, Aasif Sheikh and others in pivotal roles apart from Salman and Katrina.